Flipping over the price tag on a pair of new gloves can hit you harder than some of your opponents. Sometimes, it can feel impossible to find a pair of cheap gloves that have quality and low costs. Nobody is looking to slip on a pair that are going to fall apart, but they also don’t want to wreck their bank account. That’s why we have developed this list of relatively inexpensive gloves that could meet your needs. These offer good quality while still being affordable in the grand scheme of gear purchases. Without further ado, let’s check out the best boxing gloves under $100. Below are some pretty awesome, cheap boxing gloves that won't break the bank. 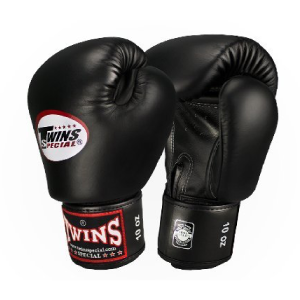 The Twins Special Boxing Gloves are a great pair that can be utilized in many disciplines. The various sizes offered by the Twins Special's allow people who are training or taking part in a fight to find gloves that are a good fit for them. One of the first things any fighter needs to look at is the materials. In the case of these, Twins have used genuine leather. That means they aren’t going to split and fray like with cheaper materials, and they’ll stand up to a lot of punishment. Another great thing about the Twins Special's is the wrist support, which is especially useful for beginners. One of the common injuries for newcomers is when they don’t have the right support and end up hurting their wrist. With the padded Velcro hook and loop straps, your wrists will have some extra protection. Speaking of the wrist support, one thing that you will notice is that the wrist straps are kind of stiff when you first wear them. You’ll definitely want to take some time breaking these in before fully using them, but it will worth it. One of the other aspects we like about the Twins is the amount of padding that they have. There is a thick layer of padding throughout the gloves and that extends into the wrist and hands so you can effectively block strikes. Nothing is worse than catching a punch in an awkward spot and damaging your hand. Fortunately, the Twins have done a lot to lower the risk of those kinds of strikes hurting you. With great protection, a lot of color options, and durability that is hard to match, the Twins Special's are definitely some of the best gloves around. TITLE is one of the famous names in boxing for many reasons. Gear like their TITLE Pro Style Training Gloves show just the kind of quality that you can expect from even their most inexpensive varieties. These are made for people who are new to boxing and are taking some time to break in their first pair. That doesn’t mean that TITLE skimped out on quality, though. It’s actually the opposite. The gloves’ shell is made from genuine leather, so they’re going to take punishment from bags and from sparring partners alike. You can definitely count on these lasting for a while. One of the other important features that beginners can benefit from is the shock-absorbing foam. This foam is fitted mostly on the fist and the back of the hand, two places where you’re likely to feel the shock from striking and blocking. The last thing you want to happen as you’re training is to injure yourself throwing a bad punch or blocking someone else’s. Another welcome feature is the satin nylon hand compartment liner. Nothing is worse than training for hours and having the inside of your gloves turn into a swamp. This liner helps limit the amount of moisture in the gloves so you can actually use them the next day without that horribly gross feeling that we all love to hate. These come in several sizes and all of them have the twin ply leather wrist strap that uses a hook and loop closure. This wraps all the way around the wrist and provides some pretty good support and protection for your wrist. Beginner gloves are all about protecting the user while they learn the basics. This pair will certainly do that while providing some decent comfort. While the color schemes are limited, you’ll be able to find the TITLE's in different size varieties. 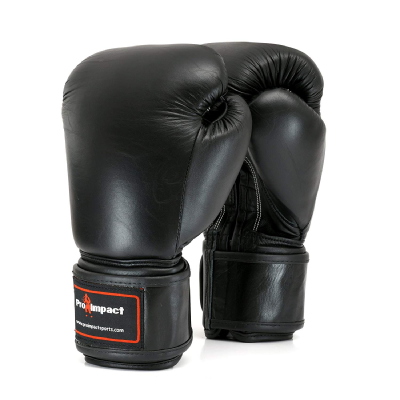 The Pro Impact Boxing Gloves are pretty basic-looking. They’re all black except for the brand label, which is kind of unique in a world that has flashier products appearing all the time. Still, that doesn’t mean they don’t have a lot of great features when you look closer. For starters, you’ll find that these are made with genuine leather. That means they will last throughout your sparring sessions and bag work, which is primarily how you’ll want to use them. You’ll be able to get these in 12oz, 14oz, and 16oz varieties. That being said, one of the things that we found is that it can be hard to get your hand into these if you packing some big fists. Another thing that you’ll be happy to see is that they provide great protection for your fist, hand and wrist. There is a triple-layer foam core that is designed to help you deal with the impacts of punching and blocking without getting injured. That is definitely important for people who are going to be doing a lot of training in them. The wrist support that you get with the Pro Impact's is second to none at this kind of price point. Part of the reason that they are such a tight fit is that the wrists are designed to prevent hyperextension injuries. Also, the cuffs for the hook and loop closure are extra-long, so you’ll have some ability to customize the fit that works for you. All in all, you’re going to get some pretty good overall protection from these. You’ll pretty much want to use them for sparring and training instead of competing. Still, they will be a great pair of gloves to add to the collection, and you can do it for a good price. Lack of unique styles and colors. 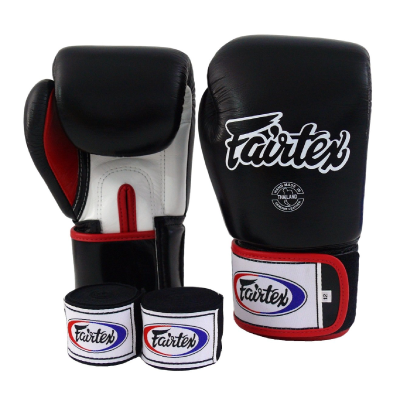 The Fairtex Boxing Gloves & Wraps set is a great pair to get as a beginner due to their exceptionally high quality. Speaking of quality, you will get a pair of wrist wraps alongside the gloves, providing a little extra bang for your buck. The primary reason that we love this pair in particular is that they are made from premium leather. As someone that has used premium leather gloves, I can tell you that they will take a lot of punishment without showing it. You can expect these to last throughout a lot of sparring and boxing. Speaking of sparring, these gloves are very versatile. 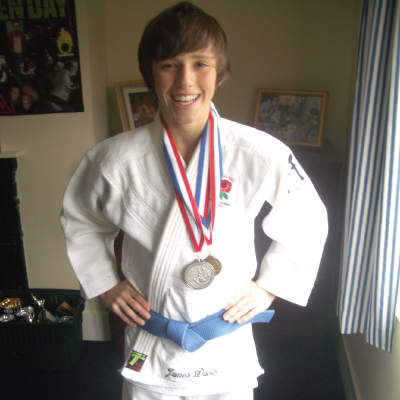 You can use them for training, sparring, and competition, so they are definitely a good pair to keep around. You’ll want to spend some time breaking them in, though as they're made from genuine leaver. The firm padding in the wrist will take some time to get used to, but it’s there to protect you. That being said, the padding isn’t anything to write home about. However, it is enough to keep you from getting injured even when you’re throwing some of those strong punches. When you strap these on, you’ll notice that the wrists are tight. They’re specifically made that way to give you the right kind of support so that you land punches properly. Combined with some training in proper punching technique, you should feel pretty confident that you’re not going to hurt yourself. All in all, these are definitely offer value when you consider their low price point. They aren’t too flashy; you can either get a pair with the colourful Fairtex logo or go for a solid black. Either way, you can’t go wrong with this pair. 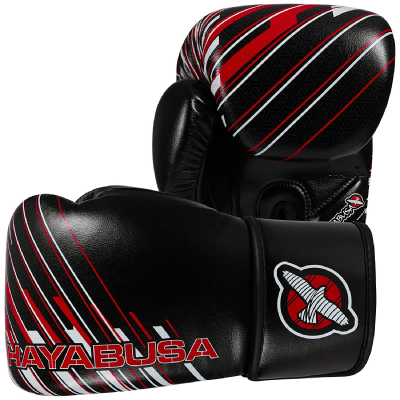 The Hayabusa Ikusa Charged Boxing Gloves are definitely some of the flashiest gloves we have on this list. If you don’t know Hayabusa gloves by their look, then you probably know them by their brand name. This particular pair of gloves is known for the unique design in terms of thumb positioning and wrist support. The dual-x wrist closure can be a pain for those trying to get these gloves on while wearing wraps, but you get a perfectly tight fit for the trouble. Also supporting the wrist is the fusion splinting, which is a semi-rigid core inside the glove that makes you keep a safe but comfortable alignment when you are throwing punches. It’s really clear that Hayabusa wanted to emphasize the safety when using these gloves. Along with all the wrist support, the glove’s actual padding is pretty good. 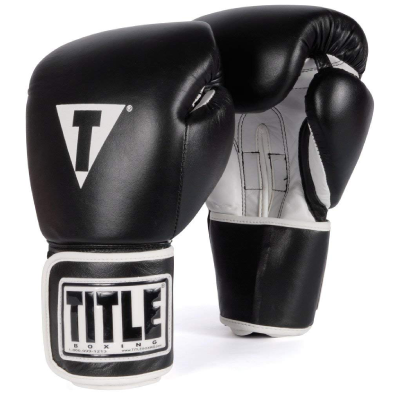 The gloves have a 3-layer foam core that will dissipate the shock of landing strong punches. These gloves are designed to be used in all aspect of boxing training, whether that be sparring, heavy bag work or even mitt work. The durability of these gloves is also a key point. They aren’t made of genuine leather like many of our other choices on this list. Still, they feature manufactured leather that is pretty tough, so you can count on these gloves being useful for a while before you work your way through them. All in all, these are good gloves, but there is definitely a potential for a hassle of getting your hands in and out of them. Like we said, though, you’ll enjoy the added safety of wearing them. 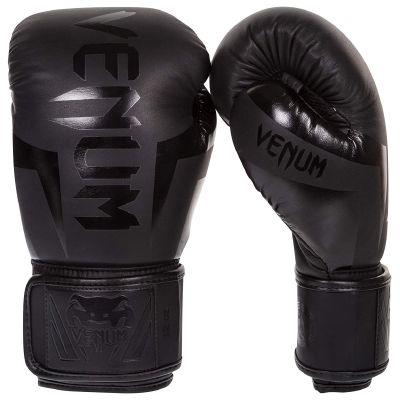 While Venum is a brand that most people associate with MMA, they still make great boxing gear. These gloves are definitely the kind that is going to make a splash based on their looks alone. The familiar snake emblem and wide variety of colors is a common site in dojos and gyms all over the place. These come with a lot of different colors so if standing out is your thing, then these are definitely good for you. The first thing that most people notice about these is that they are made of Skintex leather. Aside from the odd name, it’s a really durable kind of manufactured leather so you can count on these gloves lasting for a while. Even though they will stand up to a beating, you’ll mostly want to use them for bag work and other kinds of training. Still, these gloves are built with comfort in mind. The fit is snug but still ergonomic, and it’s not too difficult to fit your hands in them. The protection you get with the Venum's is definitely a high point, like with most other Venum products. The attached thumb and long cuffs help you keep a proper punching form. Also, they have made use of triple-density foam that is reinforced on the fist and the back of the hand. You’ll have to break these gloves in, but the shock absorption that you get in return is worth the time that you put into it. They unfortunately do have one flaw, and that is the moisture control issue. They have a mesh panel that keeps your hand cool and provides some ventilation, but sweat does tend to build up a little more than in other gloves. All in all, these are a pair that are fun to look at, comfortable to wear and offer a ton of protection. 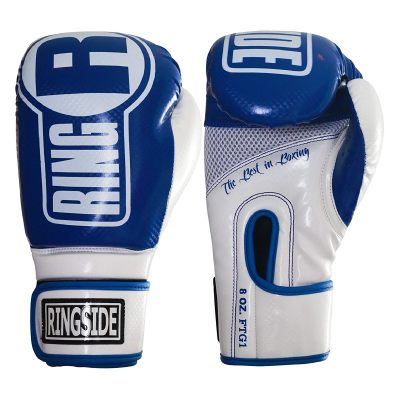 The Ringside's are made with IMF so that the gloves keep you get protection that won’t quit on you after a few months. You can count on being able to use these for at least a couple of years. The sizing might throw you off a little bit since they come in a small/medium and large/x-large with only 10oz and 12oz varieties. Once you get into a pair you’ll notice that they have a natural curvature to them that will fit snugly around your fist. Combined with the grip bar, you’ll be able to make a pretty tight fist while keeping the proper form. Since you are going to be training in these, you’ll definitely love the Stay-Dri lining. This lining paired with a ventilating design makes sure you don’t end up with a soupy, sweaty mess. The wrap-around wrist closure is secured using a hook and loop system like a lot of modern pair. 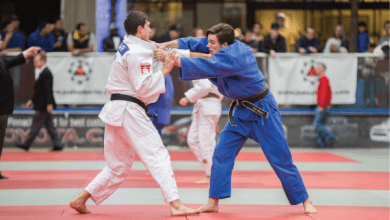 The wrist closure is also tapered and non-slip, making then a great fit without being a pain to get out of when you’re done training for the day. These definitely live up to Ringside’s amazing reputation. They provide great protection and a cool look while not beating up your wallet. If you’re looking for a great balance between costs and effectiveness, this is a hard pair to beat. Alright, now that you got a good idea of what the best gloves are in this price range, let’s take a look at the factors that will go into choosing the best cheap pair. Check out the video below as well which will walk you through the process of deciding which ones to buy. The different weights you'll come across have their specific uses. For example, you will want to use 6-8oz gloves for competition since they are light weight. The 10oz variety is good for light pad and bag work while the 12oz is perfect for general training. A 14oz pair will have enough padding that they’re good for light sparring because of the high level of protection you get from them. The next heaviest set and the heaviest we’ve included here, is 16oz which you will want to use for general training, sparring, and heavy bag work. If these are your first pair, it's best to go for either 14oz or 16oz as these are the most versatile and will allow you to participate in all elements of boxing training. The material that is used in gloves is absolutely necessary to look into before buying. You don’t want to spend decent money only to learn that they are made of some low-rate material that will fall apart after a few months of training. It’s hard to beat genuine leather in terms of its durability and it doesn’t take as long for you to break them in. There are a lot of reasons that you see genuine leather being used in professional fights, and durability is the tip of the iceberg. Synthetic leather is a nice alternative to genuine leather, but usually not up to par. While it is cheaper to buy, you’ll often find that there are wild variances between the synthetics that companies offer. You have some companies that have high quality versions like Skintex from Venum and then you’ll see some cheap knock-off synthetics. Until you find a brand you trust for synthetics, you might just want to stick with real leather. There is always a question of whether you’ll want to go down the Velcro path, or the laced path. More and more we are seeing a tendency to use hook and loop closures. 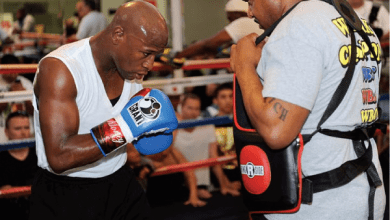 You might look at a pro fight and think that you want to mimic them, but you have to remember that they have all their trainers right around them. If you have wrapped hands and laced gloves, it can be a real pain to try to get them on and off for different types of training. In competition, you can’t go wrong with laces, but in training, I’d say stick with Velcro just for the ease of use. All right, you made it all the way here. 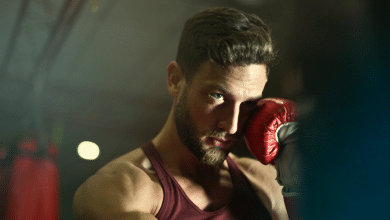 You have be wondering what we recommend as the best boxing gloves under $100, right? Well, here it is. After careful consideration, we have decided that the Twins Special Boxing Gloves are the best cheap gloves you'll find. These are very high quality, come in a nice variety of sizes, and provide all sorts of protection for those new to the sport. They’re a great pair that won’t set you back a lot of money, and you can count on them holding up for a long time. All in all, it’s hard to do better than this for a nice pair of gloves. 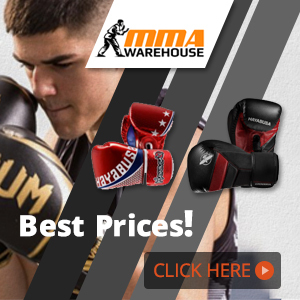 As always thanks for taking the time to check out our list of boxing gloves under $100. We hope that you come away with a better idea of what to expect at this price range. As always, let us know what you think by getting in touch with us or dropping a line below!